I loaded the truck and was on the road before noon. 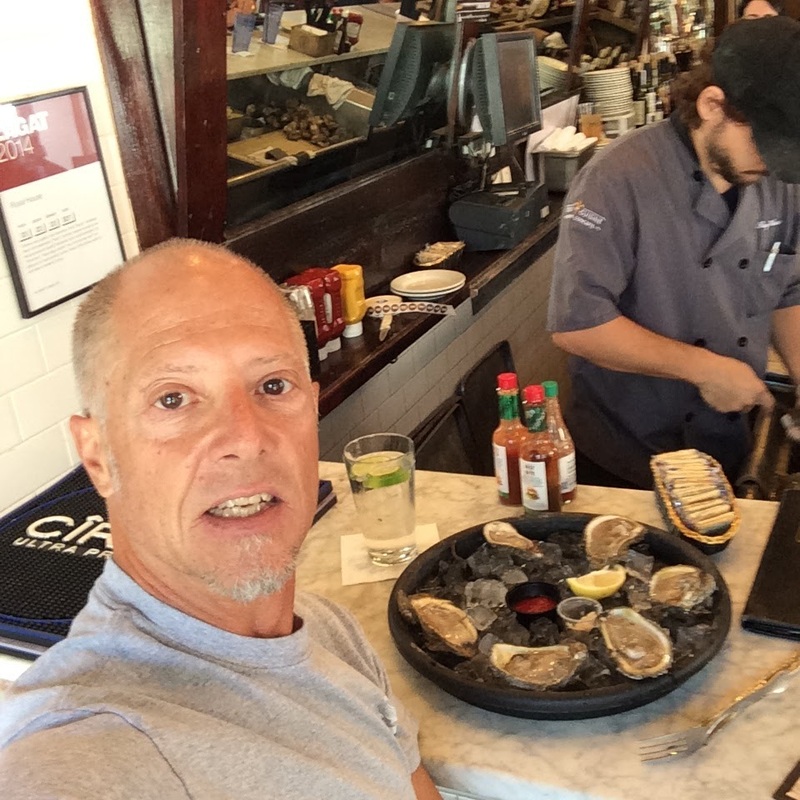 The first stop was Panama City Florida where I had dinner with John Black and his girlfriend. John and I flew together in Colorado. He was training in Colorado Springs and did well there. Later he started Beach Blast which has turned into America’s Premier Fly-In. 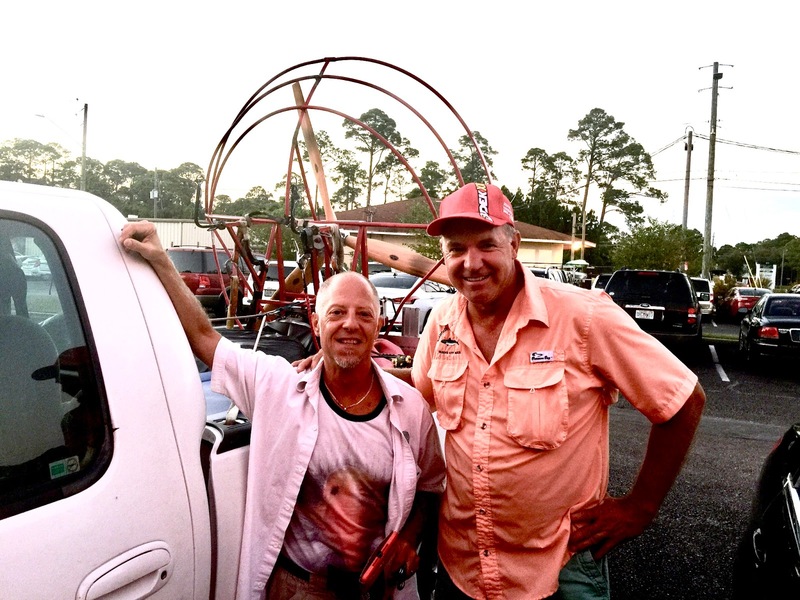 I was hoping he has a good trike friendly place for me to fly in the morning but no such luck so I drove to Pensacola and crashed at a cheap hotel. 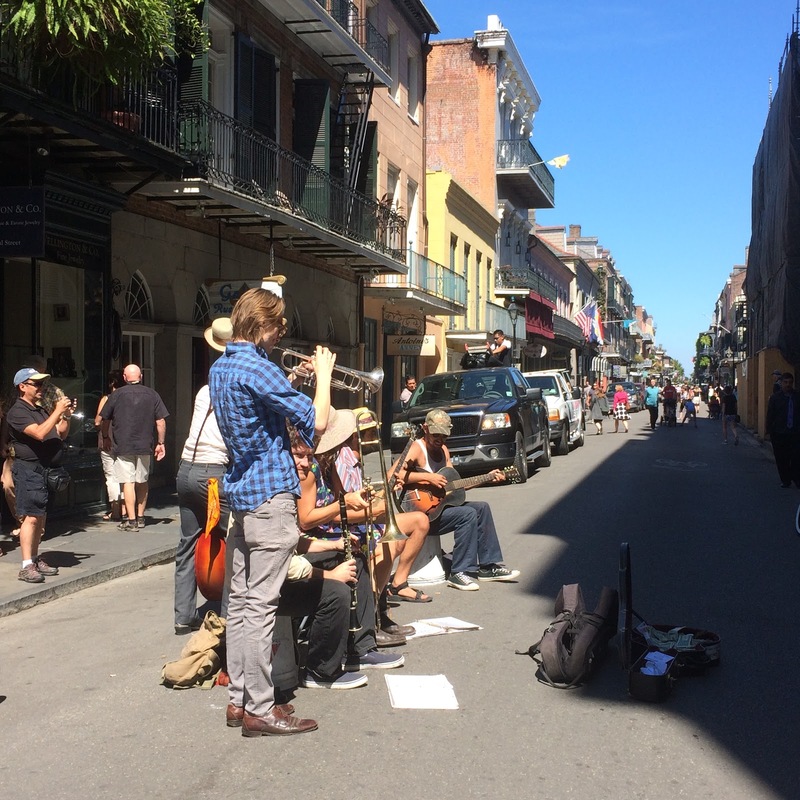 The next morning I drove through New Orleans, stopping on Beale Street for oysters and some street Jazz. 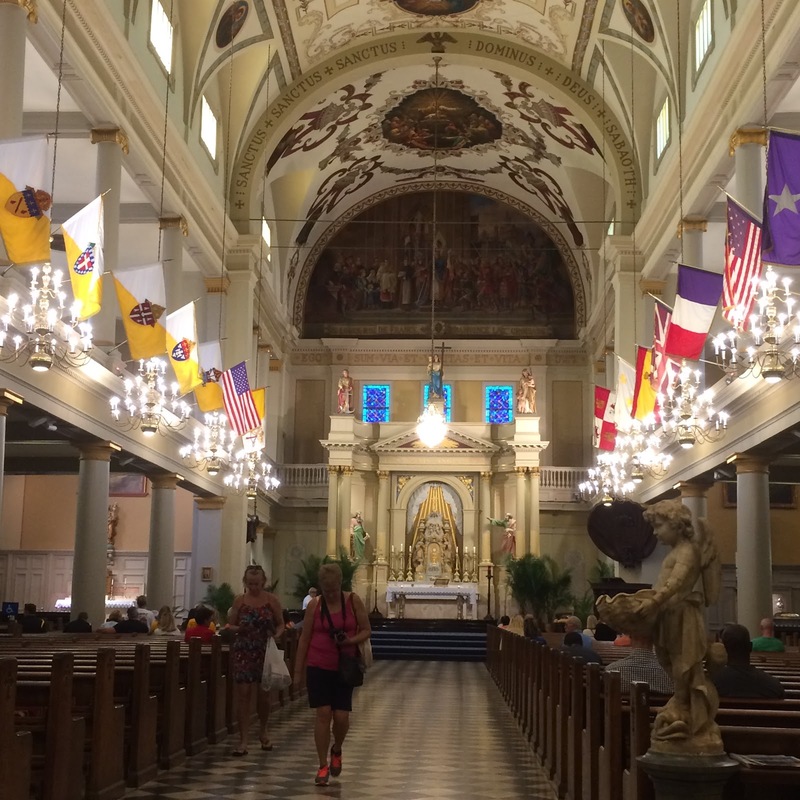 I made it to Galveston Island late that evening and mad arrangements to fly with Andy McAvin and his gang in the morning. Three hours outside of New Orleans, I saw a biplane fly slowly across the highway, then another and another. My head was on a swivel, aviation was happening around here, somewhere. A minute later I passed the fly in. 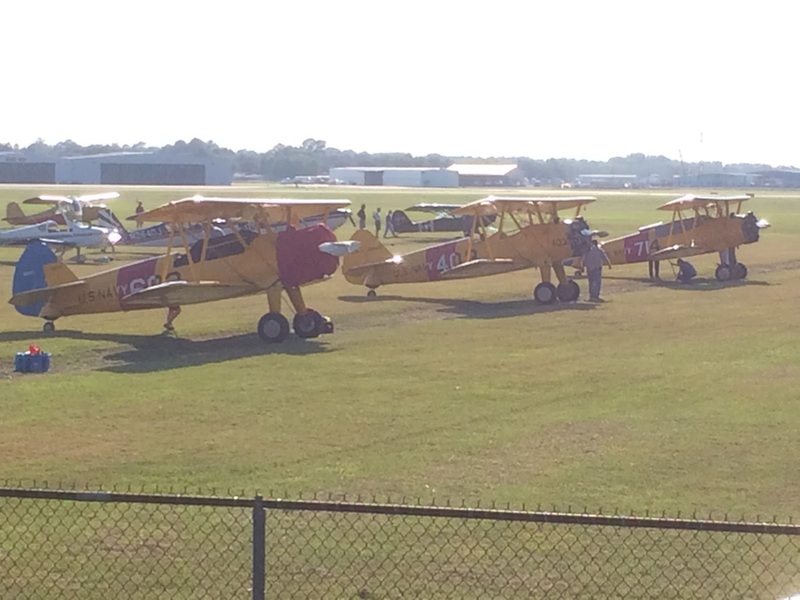 dozens of Stearman biplanes were lined up in a field alongside the highway. I got off at the next exit, turned around and drove into the fly-in. 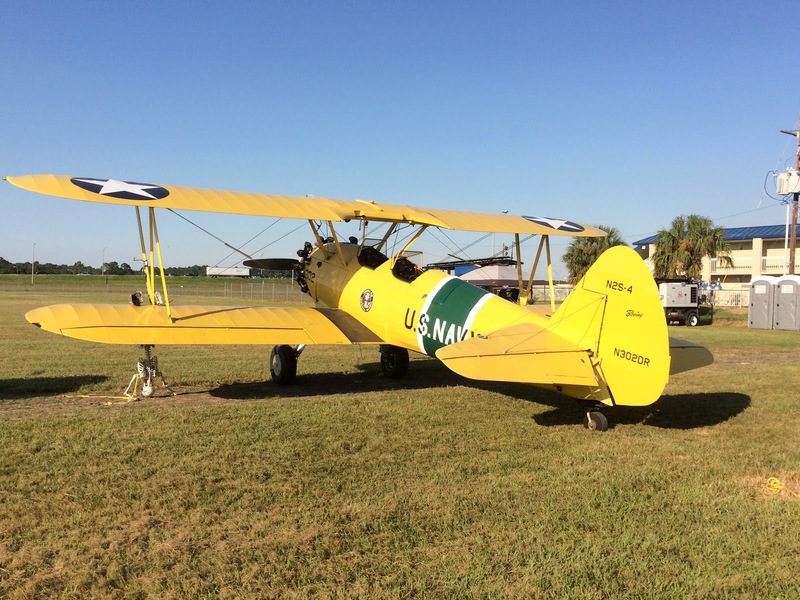 It was the 36th Annual Jennings “End of Season”, Stearman Fly-in. What a great venue for a fly-in. There was a nice hotel next to the field so that you could taxi to the line and walk to your room. I must have seen the last of the arrivals because there were very few people around the line. I did speak with one fellow who told me a little about the event. 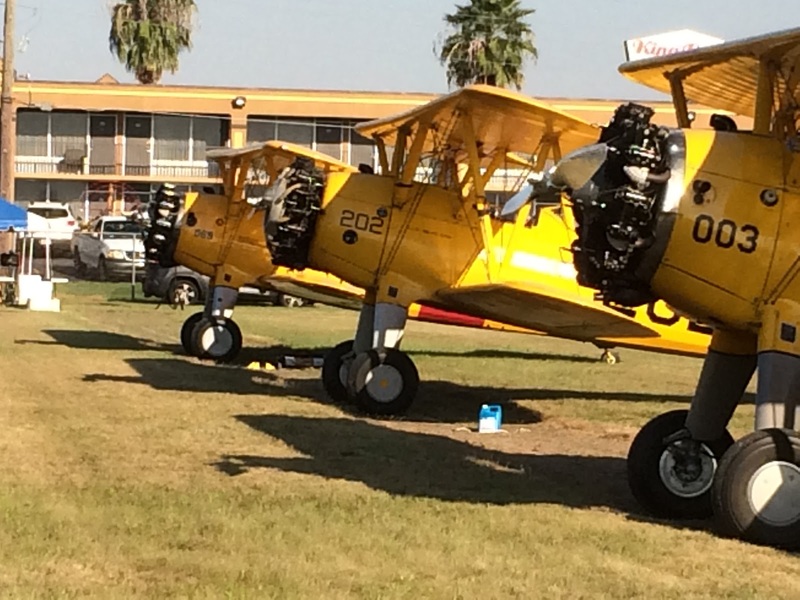 The planes were all Stearman so there wasn’t much variety but the surprising thing was that they almost all had the same yellow paint job. I don’t know, unless there was some crazy squadron rule about color scheme, I would have chosen another color. It’s a good thing I got up early because the thermals were starting to kick up by 7:20. This morning is the warmest of the year 63 degrees at 6:00am…Light breeze from the North. Two short Flights 20 minutes and 10. First to 1200 feet and the second to 500. I cut the first one short to greet the new arrivals and should not have because the good air didn’t last. Kevin later explained to me that, often the dawn breeze is from the North or else calm. It might stay that way for several hours but eventually it starts moving either to the east or south.. If it switches to the East…watch out for bumpy air. Also, the more Westerly the SW breeze also makes for bumpy air. I launched just ahead of Jerry and we stayed together for awhile. He kinda hung off my left side at 8:0clock and then flew over the top. The difference in our climb rate was dramatic. I think our decent is about the same but I’m guessing that he has a 100 ft/min or better advantage. I hope the Power Fins will do the trick …I’ll settle for a noticeable improvement at least 175. Once again …It seems like when ever I change the routine I forget to put on the helmet. Today I’ll blame it on the new thigh mount for the Garmin 176-c. This time I was grooving to Cirque Du Sol …getting al cosy with my lap toys and meanwhile, my helmet was on the ground next to the buggy. I must have rolled over it during the initial power-up, …I do remember a slight hesitation before I started to accelerate. Anyway it must have been rolled in the prop wash because it was full of vegetation. No harm done … at least it didn’t go through the prop like my Monument Valley Cap. I look forward to getting my radio back from Capt. Black. I’ll actually be able to talk with my friends…imagine that? I haven’t had radio communications in the air since my second flight with Brian Smith and I’ve missed some good opportunities because of it. Jerry and I were talking about seat belts and the value of a 5 point with quick release. After thinking about it, mine does have a good quick release and do I really need shoulder straps? It might make it hard to reach forward. On the other hand if I have a really hard landing or roll it will keep me under the roll bars better. John Black showed up late. His flight to the coast fell through and he needed to burn off a little anger. So… Jerry Kevin and I hung around and shared a soda pop. I teased a little about the latest video and he made like his starter button was fouled by water. No hard feelings …it was a non-event. The winds were variable and after switching from reverse to forward he went up for a quickie and came down with a smile. Below is the second instalment of Capt. Blacks incident videos. No Crash Dummies were injured in the making of this video…..
Up early to a beautiful but scary sky. There was virga popping out on three sides. The local guys were advising to launch but be ready to turn back or set down if it started to get rowdy. I launched and went high quickly. 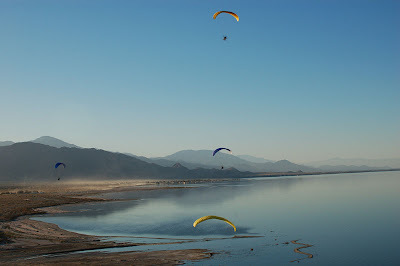 There were two groups of three below and I would overshoot them circled around and stay on their 6. I can hardly wait till I’ve a little more time on the Thumper because I missed the boat as far as scenery goes. From 200 feet it was spectacular but from 2000 feet It’s not that impressive. I could tell Bubba’s group was in the weeds from the way they were turning around every feature. 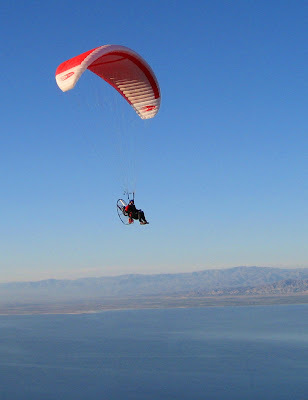 I was a little concerned that I would not have enough gas and flew the plan which was get high and if I ran out I would be able to glide to a place where I could be easily picked up. As it turned out I didn’t burn as much as I thought but when I looked at the tank it was damn low. My mistake was not realizing that since the buggy was at an angle the gas tank was tilted to the back making it look lower than it was. John Black surprised me by taking his girl friend for a mid afternoon tandem ride. After his speech at the Salton Sea I thought he would mellow out. Oh Well He is the pilot in command and a very talented one at that. Good Luck to you John. The afternoon was Debbie’s famous Amazing Competitions. We had a water balloon fight and the highlight was the Spam toss. I got pegged by a balloon right in the camera pouch which ended the great life of my little Cannon…oh well? That evening was the big Luau dinner, Michelle and CC went all out. There was a traditional pork dish, potatoes, shrimp, and a chocolate & fruit fountain. The band played and Michelle gave a short but emotional speech that had an underlying message that I’m not sure that I caught. 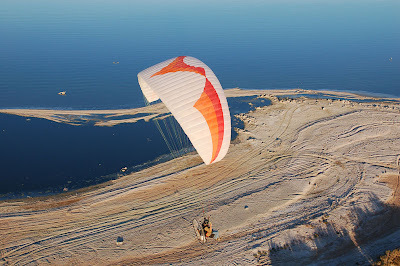 I hope there are no major changes in the air for Paramotor City! It was a great evening These people are family and I’m proud to be “one of the cousins”.